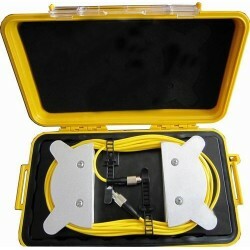 Launch Cables are used to eliminate the dead zone events when doing OTDR measurements. The dead zone events stay on the launch cable. Launch cables differ according to the connector types, fiber mode and cable lengths. OTDR Launch Cables There are 9 products.